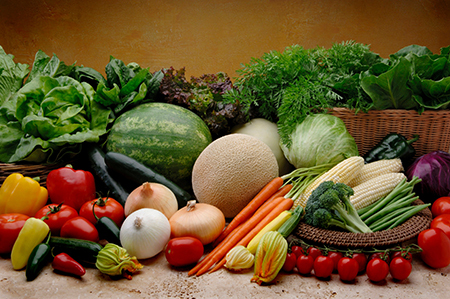 Garden Seeds & Supplies McGough's Inc. Garden Seeds & Supplies – McGough's Inc.
From acorn squash to zucchini and everything in between, we have all the seeds you will need to complete your garden. We carry trusted name brands including organic and heirloom garden seeds. In fact, the majority of our bulk and packaged seeds are non-GMO, open-pollinated varieties that have been used for generations. At McGough’s, you will also find all of the supplies you will need to maintain your garden, including topsoil, compost, peat pots, and more. Whether you are gardening in a single raised bed or over acres, we can supply you with the tools needed to get started. Various soil mediums, fertilizers, amendments, and gardening tools are also available to ensure your garden succeeds from seed to harvest. McGough’s specializes in premium growing mediums and materials. We carry small and large sizes of many products for a diversity of garden projects. A peat-based professional growing media that contains Mycorrhizae, which are beneficial fungi naturally found in soils around the world. They form a beneficial association with plants to enhance growth, increase resistance to stress factors, and encourage better uptake of water and nutrients. 100% OMRI Certified Organic. Made with Canadian Black Peat Moss for rapid root growth and holds up to 12 times its weight in water. 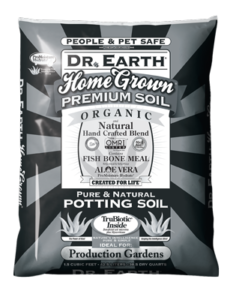 Includes worm castings and kelp meal. Great for raised flower and vegetable beds. 100% OMRI Certified Organic. Contains MYCORISE toassist the plant root system in capturing available nutrients. Promotes vigorous plant establishment. Ideal for cultivation of organic vegetables, fruits, and herbs. Enriched with bat guano, worm castings, and kelp meal. Aloe Vera added for moisture retention, and beneficial bacteria for optimal nutrient uptake. Ideal for indoor & outdoor organic gardening. 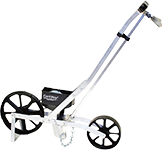 An ideal row crop planter, Earthway’s Precision Garden Seeder is a tool that takes the guesswork out of planting any row crop. Additional seed plates are available. Yellow, White, Red – 100 ct.